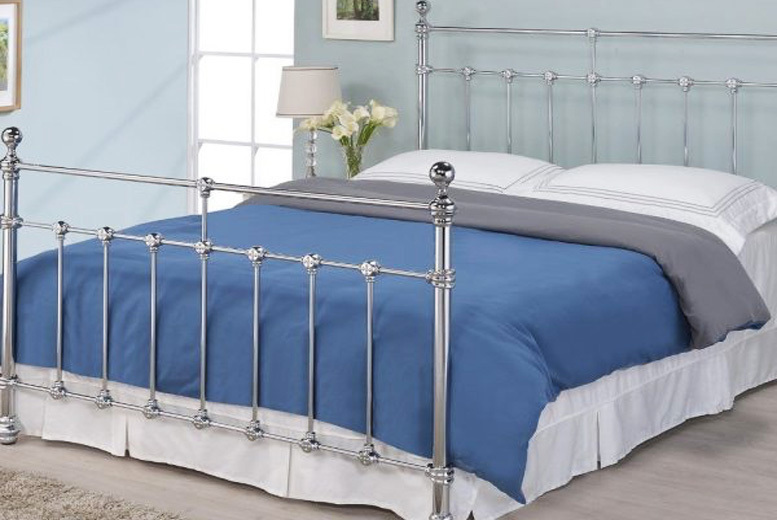 Get a designer silver metal bed frame. Upgrade to include a micro quilted comfort coil sprung mattress! Choose from a double or king size. In a striking chrome finish. Featuring a comfortable sprung slatted base! Add a touch of elegance to your bedroom.